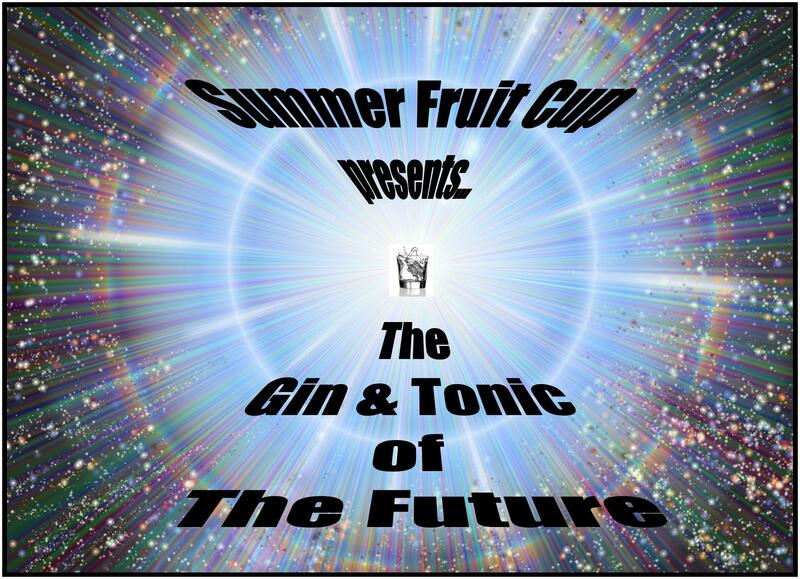 The Gin & Tonic of… THE FUTURE! A fair bit has been written about the history of the Gin & Tonic and I’ve written previously on its variations, but what you see less of in blind speculation is regarding its future! So I’ve peaked at the tea leaves and carefully analysed the shapes formed by the condensation on my cocktail shaker to provide some suggestions.What follows is a list of three tonic innovations behind which I have noticed have a growing following. This is where a gin producer also creates a tonic water that has been specially designed to harmonise and be the perfect partner to their juniper spirit.I first heard about this from Michael of Bramley & Gage with his 6 O’Clock Gin and I’m pleased to have been one of the first to write about it on this very site. That was a year ago and since then the popularity of the drink and the concept, as well as its availability, has increased. There have been a few enhancements of the packaging and the tonic is now available in a handy four-pack of individual bottle serves. 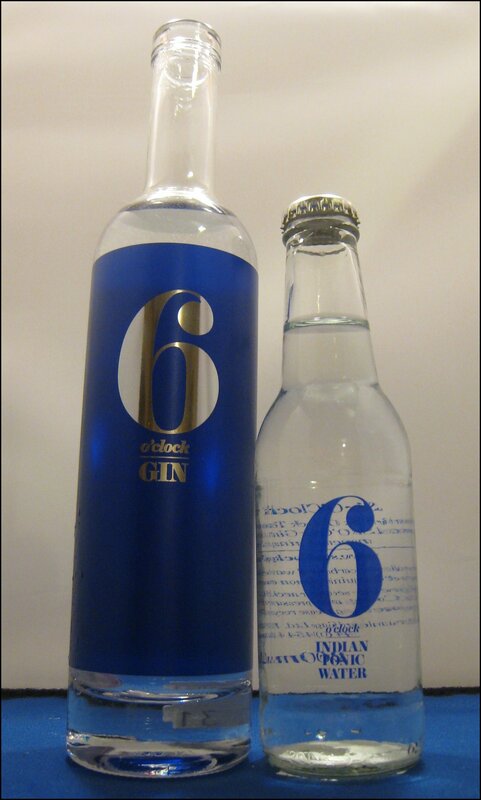 When combined, 6 O’Clock Gin and 6 O’Clock Tonic create a soft, yet flavourful drink, which is probably one of the most relaxing Gin & Tonics I have ever had. That is not to say that it doesn’t have much flavour, as there is, without a doubt, a distinctive mix of juniper and quinine. It really is very good. Since then, the idea has taken of a little, with rumours of other boutique gins following suit. 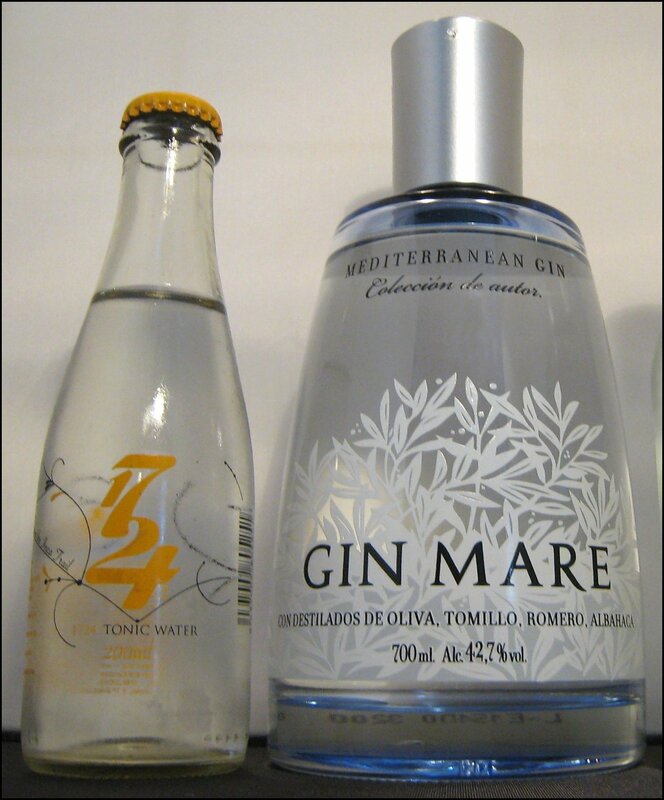 The folks behind Gin Mare have brought out 1724 Tonic and, whilst not designed solely for Gin Mare, its mixability with this gin was a consideration. 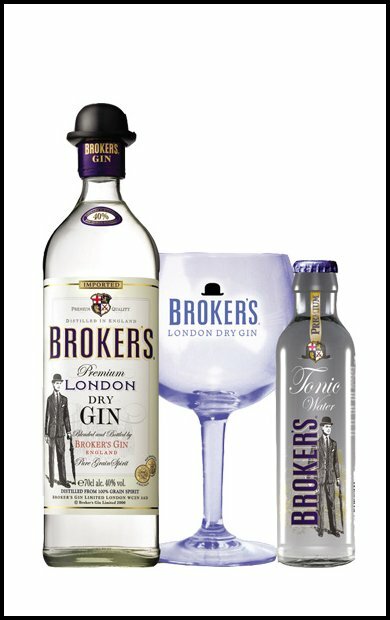 Broker’s Gin (who seem to be on a bit of an award-winning roll of late) have a companion tonic water available in Spain. This isn’t actually created/produced by Broker’s, but rather by a third party that decided to do to it on their behalf, with the gin company’s blessing. I’ve yet to try it, but am looking forward to doing so. Eighteen months ago, there were no companion tonics and now there are at least three, with more in development; this is a trend if ever I saw one. This comes in two forms: in-house bar creations and commercial products, but the premise is the same in both instances: you take a quinine tonic syrup and then mix it with soda water to create your tonic water. Various bars create their own now, although I first encountered it in Purl. There was a limited run of a Battersea Quinine cordial made by Hendricks, which was a similar concept. 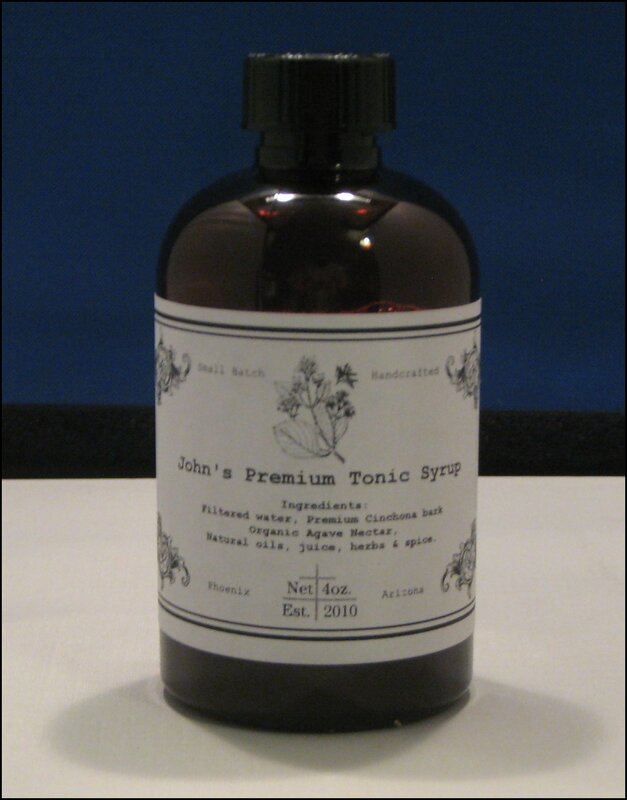 But, interestingly enough, it has been in America where this idea has really taken off; I have already reviewed John’s Premium Tonic Water and one by Tomr. I am also aware of one made by The Jacy Rudy Cocktail Co. and there are probably others. One of the advantages of creating these as concentrated syrup is that it is easier, cheaper and greener to ship (250ml will make a litre and half of tonic), but also it means that it can be shipped further without the tonic loosing its fizz. 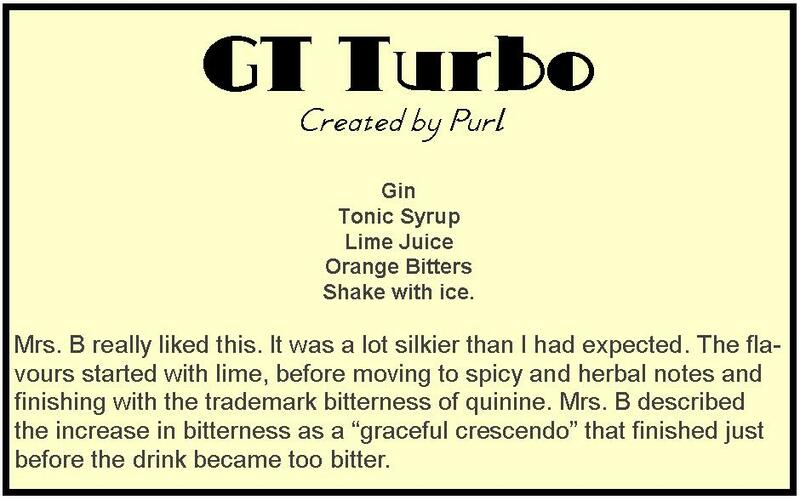 A third advantage is that you can use the syrup in other drinks such a Purl’s GT Turbo. All of the various tonic syrups I have tried have been brown in colour, creating an orange-brown tonic water when mixed. They also tend to be more bitter and more herbally intense than other tonic waters, but, as someone with a palette accustomed to the flavour of quinine, I quite like this. 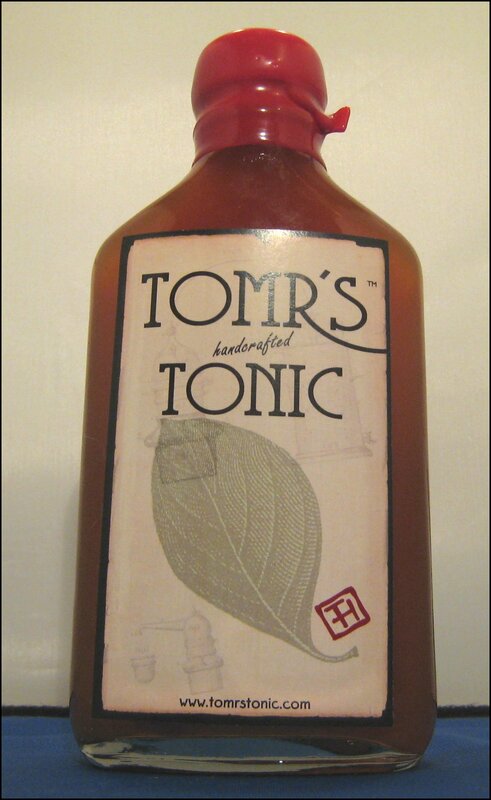 Here is my favourite Tonic syrup cocktail. With a plethora of home-made recipes also available, people have started to make their own non-quinine syrups and as even the Wall Street Journal has picked up on this trend, yet again I feel that this is a development well-worth watching. 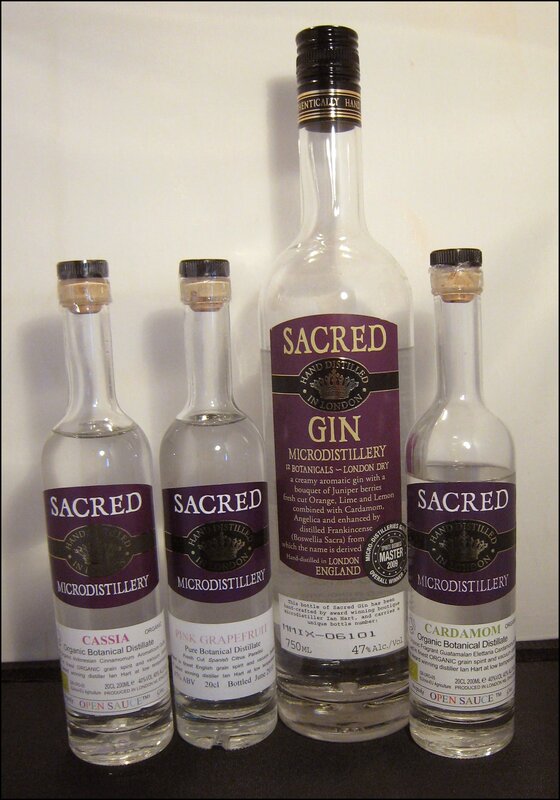 An innovation from the gin-drinking country of Spain, this was pioneered using Sacred Gin and distillates; the idea was initially relayed to me by Ian and Hilary of Sacred. The premise is simple: you make a Gin & Tonic (something like a 3:1 ratio, tonic:gin) and then layer 5-10ml of botanical distillate on top of the drink. This results in a double drinking sensation and more intense drink: firstly, you get the nose of the distillate and then, on tasting, you get a burst of that flavour, followed by the usual fresh Gin & Tonic flavours. As the two layers reduce proportionately as you drink, the effect remains until the end. I made up a Gin & Tonic with Sacred 47%ABV Gin and Waitrose Tonic Water – 1 part gin to 3 parts tonic – and then added 10ml of distillate on top. Initially, the nose is more subtle, with a hint of extra citrus. In terms of taste, there’s some fresh citrus to start with, followed by strong, clean juniper and a dry bitterness from the tonic. Although the pink grapefruit is there, it seems to accentuate the juniper more than anything. There’s an initial scent of cardamon; this is repeated at the start of the taste, then the more refreshing Gin & Tonic notes come through; juniper, citrus and quinine flavours are rounded off with a finish of dry juniper and a lingering hint of cardamon. This is my favourite “Final Touch” Gin & Tonic. From speaking to Ian of Sacred the general public seem to share my opinion. Very lightly louched at the top. There’s a warm, creamy earthiness at the start, followed by a more mellow Gin & Tonic. Rather than being a distinct, separate flavour, the cassia flows into the G&T to create a much softer drink. This is a trend in its infancy, but awareness of it in the UK is growing and both Mrs. B and I think that it’s great; I hope it continues. UPDATE: Since this article was posted last week lots of folks have mentioned this to me and how much they like it. I know it was tried out at a very consumer-focused tasting with great success. It seems it’s moving along more than I thought. Large bottles of some of the distillates are now available here. These are just three possible future ways that the classic gin drink could progress; there are others, and if you think of any, please let us know, but I wholeheartedly believe that they all have their merits and I’d like to see them all succeed. The future certainly looks bright for this 200 year old drink.